I oppose the introduction of a regulation that would allow the Federal Aviation Administration to afford protection of voluntary submitted information. The predicate for this regulation is that those persons who might provide the FAA with useful safety or security information won’t do so if they are fearful that the information will be disclosed in response to a FOIA request. Historically, this has been demonstrated to be an entirely false assumption. The FAA has had in place a Service Difficulty Reporting System for at least forty years to my knowledge. Mechanics and others, without any compensation or hope for it, or any fear of the disclosure of this information, have provided the necessary safety information concerning the failure or near failure of aviation components that could affect flight safety for years. Unfortunately, they are frustrated because they recognize that year after year the information they have provided is not utilized by the FAA to improve aviation safety. Many mechanics I have spoken to have said that they stopped providing service difficulty reporting information because they see model after model of aircraft with no improvements and no changes and failing for the same reasons. Thus, the paucity of information now provided to the FAA in connection with safety has nothing to do with fear of this information being disclosed under FOIA, it has to do with the disgust by the people who are responsible for providing such information with those who are responsible for using the information effectively to prevent accidents, i.e., the FAA. Thus, the basic predicate for the regulatory change is unfounded in fact. Indeed, the FAA in response to pressure from manufacturers has refused to divulge information provided both by the manufacturers and those in the field on the basis that it is proprietary and confidential. Thus the FAA has effectively introduced, without regulatory authority for the same, the protection that it now hopes to introduce by way of a new regulatory scheme designed for one purpose and one purpose only preventing the public from knowing and obtaining access to safety information which has been previously withheld from them by both the Government and the private sector. That is the purpose of this rule, that is the thrust behind it, that is the reason it is introduced, and it is really so blatant that the FAA must really think the public are stupid by introducing a rule that is purportedly designed to enhance safety, but in reality is nothing more than an attempt to cover up the blunders of both the FAA and the industry with respect to aviation safety. Indeed, even thought the FAA had no authority for it, even though the FAA kept from the public all the information concerning certification blunders (like the Boeing 737 rudder system), certification and safety blunders (like the lack of fire safety on all commercial aircraft wiring and insulation systems), and the list could go on and on, now the FAA wants to turn the Government into a secret repository of information that should be disclosed to the public anyway. Why shouldn’t the public know that an aircraft is unsafe, and then make a choice not to fly it? Why shouldn’t the public know that there are failure rates of aircraft of such a magnitude they shouldn’t buy or fly in it? Why shouldn’t the public know that there are airlines not operating safely because they are conducting paper inspections and paper repairs? In short, what the aircraft manufacturers, the airlines and others want the FAA to do, and the FAA is falling all over itself to comply with, is to make everything a secret so nobody knows how bad it is out there and how badly the FAA is doing its job. One example strikes me as being especially telling. I wrote a FOIA request, repeated FOIA requests as a matter of fact, arising out of the crashes of United 585 and USAir 427, two Boeing 737s that crashed because of the failure of the rudder servo valve, a probable cause found after nine years of investigation by the NTSB. 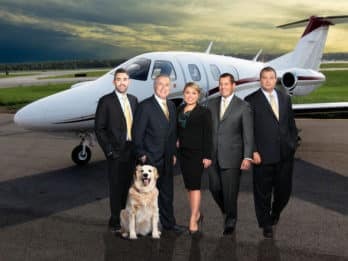 Of course, the FAA in the State of Washington didn’t have any information that it found releasable, and when we took the deposition of Ken Frye, the FAA person in charge, FAA’s lawyers shut him down when we were asking sensitive certification questions. Of course, we didn’t get the information from the defendants because they cited all sorts of reasons why the information was either unavailable, or they couldn’t find it, or they couldn’t supply it. Well, something surfaced that was kind of remarkable, a copy of which I am providing to you, which are minutes of the certification meeting of the Boeing 737. Well, lo and behold, it turns out that the FAA did question the certification of this aircraft, the single slab rudder, the single actuator, and even suggested that it was prone to a single point failure. Well, it’s pretty obvious that if this document had gotten out officially, it would have been pretty embarrassing to the FAA, and probably to the managers who overruled the guys who figured out that the 737 shouldn’t have been certified this way, so it didn’t get out officially, it got out unofficially. That’s the problem, you see, with your proposed regulation. Your proposed regulation is a simple attempt to hide the truth from the public, to hide the truth from victims’ families, to hide the truth from the press, to hide the truth from everyone who has to make an intelligent decision about aviation safety. In short, this regulation is a cruel and arrogant attempt to deny access to the public from the people who are on the public’s payroll to find out whether the job for which Government is being paid is, in fact, being done honestly, accurately and effectively. I oppose this regulation, because it has been bought and paid for by industry, because it is the FAA’s continuing attempt to hide its ineptitude because it is completely and absolutely unnecessary. Even the FAA should understand that it is the threat of public disclosure of critical safety information and the legal liability that may result from it that is the most effective tool at implementing aviation safety improvements, not hiding behind some regulatory device to keep the public in the dark.